Applications are open for the CONNECTED BecA-ILR Vector and Virus Diagnostics Course for Early Career Researchers 2019. 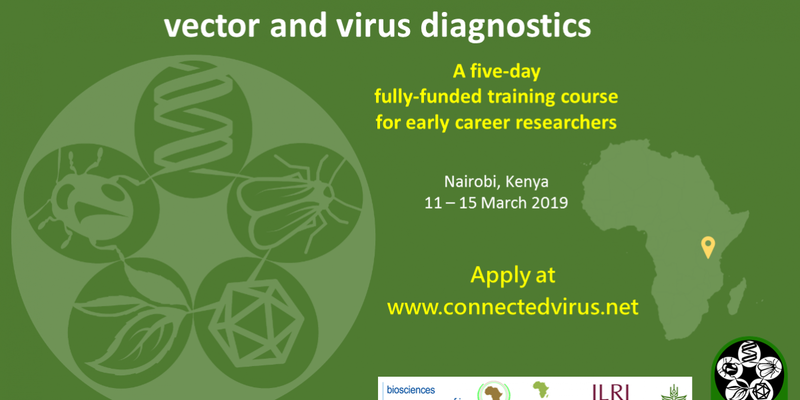 Early researchers are invited to attend a five-day introductory level vector and virus diagnostics course in Nairobi, Kenya, in March 2019. Travel, accommodation, subsistence and all training costs will be covered for 12 successful applicants. Open to all CONNECTED network members who are early career researchers, with preference given to those based in countries in the OECD DAC list. Early career researchers are defined as those who have received their highest degree (BSc, MS or PhD) within the past seven years. For more information, visit Vector and Virus Diagnostics Course.